Happy New Year! Please accept my best wishes to you for a wonderful year, full of adventure and great outdoor experiences. As we are settling in to our Canadian winter, I find myself doing a lot of day hiking and planning for the camping season ahead. 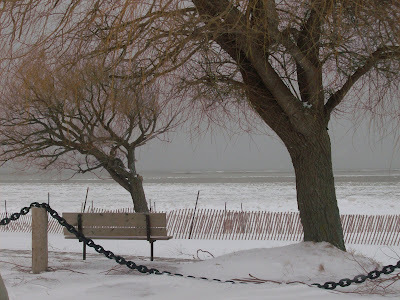 Over our New Years Eve vacation this year, our family ventured out to the small town of Bayfield, just south of Goderich, Ontario. Although we stayed at a small inn, we did take the time to venture out and enjoy the beautiful scenery along the shores of Lake Huron. The town of Bayfield is perched atop a bluff overlooking a point where the Bayfield River empties into Lake Huron, giving it a front row seat to some of the most breathtaking sunsets in Canada. 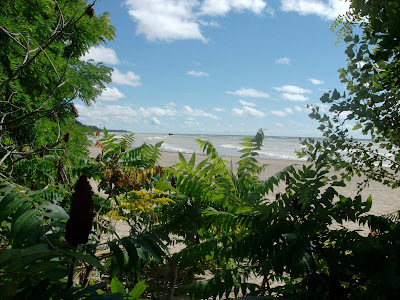 Lake Huron has always played a vital role in the history of Bayfield. In 1832 Carel Lodewijk, Baron van Tuyll van Serooskerken, a Dutch nobleman, purchased large holdings in the Huron Tract including 388 acres here which he set aside for a settlement. The settlement, named Bayfield after the nautical surveyor Henry Wolsey Bayfield, developed as a centre for the surrounding agricultural community. In the 1840's Bayfield was a busy shipping port for the export of grain. As the community prospered, hotels, stores and many fine residences were built. Fortunately many of these examples of early Ontario architecture survived relatively intact, and continue to enhance village streets today. With the coming of the railway which bypassed Bayfield, its shipping ports were no longer needed. It was at this time that the residents turned to fishing as a way of life. 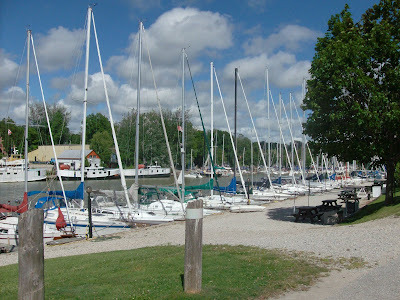 Historically always a busy port, now local fishing boats operate daily, and the picturesque harbour has become the largest pleasure craft marina on the Canadian side of Lake Huron. Today visitors can take a leisurely self guided tour through the village which features many late 19 th century homes with ornate carved doors and decorative woodwork, surrounded by majestic oak trees. Browse through shops where local artisans sell their wares or spend an hour enjoying lunch at one of the many restaurants that line the main street. The area is also blessed with many hiking trails and small campgrounds. We took the time to check out a few of them and are definitely looking forward to a return trip during the warm summer months! !